Throwing a kid’s birthday party this summer? Instead of sending your guests packing with a bag full of sugary candy or plastic toys, why not hand out these fun soap treats as party favors? 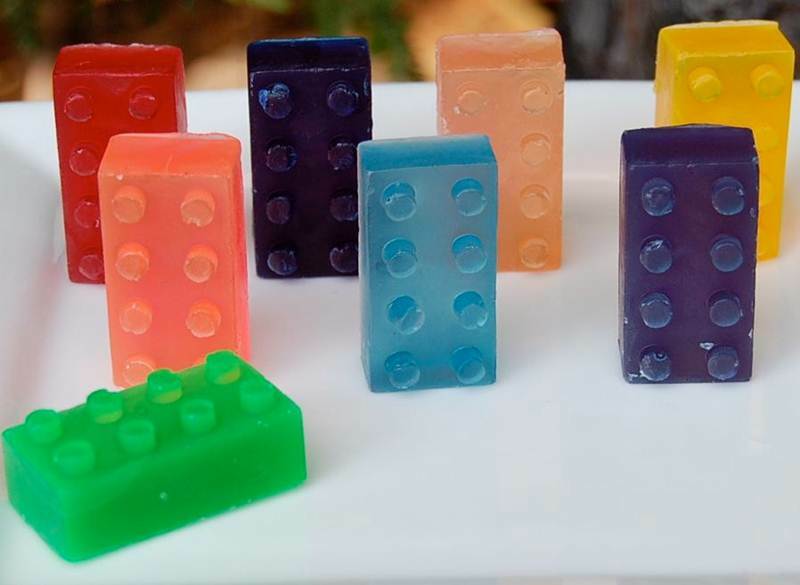 Both kids and parents are sure to love the colorful LEGO-shaped soaps, which are made of mild glycerin and come in awesome primary colors plus pink and purple. A Bath Shoppe’s LEGO soap favors come in a set of 24, are made of mild glycerin and come in awesome primary colors plus pink and purple. Each soap is party ready, wrapped in cello bags. Throwing a kid's birthday party this summer? Instead of sending your guests packing with a bag full of sugary candy or plastic toys, why not hand out these fun soap treats as party favors? Both kids and parents are sure to love the colorful LEGO-shaped soaps, which are made of mild glycerin and come in awesome primary colors plus pink and purple. A Bath Shoppe's LEGO soap favors come in a set of 24, are made of mild glycerin and come in awesome primary colors plus pink and purple. Each soap is party ready, wrapped in cello bags.